Two prominent journalists in Turkey are facing charges of espionage after publishing video that allegedly showed trucks, belonging to the state intelligence agency, carrying ammunition to Syrian militants. 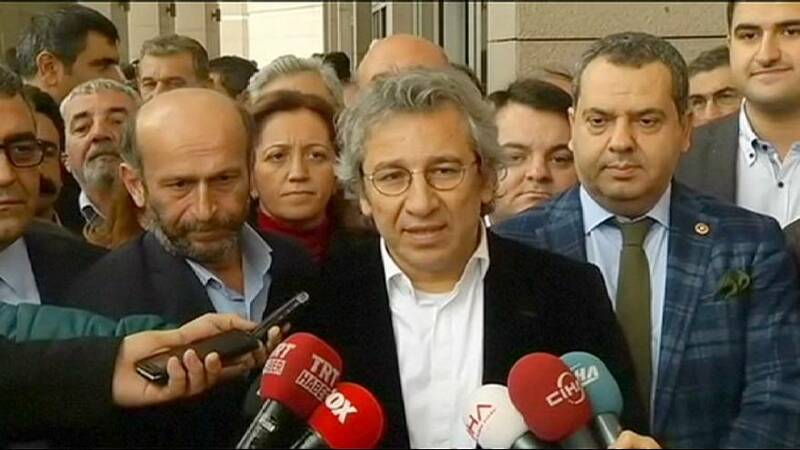 Can Dundar, editor-in-chief of the Cumhuriyet newspaper, and Ankara bureau chief Erdem Gul are also accused of willingly aiding an armed group. Both have been jailed pending trial. “We will resist and win. It’s a coup against the press. They keep doing coups against the press. But we are strong, and I want everyone to stay strong,” said Dilek Dundar, Can Dundar’s wife. The government had initially denied the trucks were transporting arms, maintaining that the cargo consisted of humanitarian aid. Some officials later suggested it was arms or ammunition destined for the Turkmen minority in Syria. The video prompted President Tayyip Erdogan to vow revenge, saying he would not forgive such reporting. European diplomats are measured in their criticism of media freedom in Turkey and Erdogan’s increasingly authoritarian rule – recognising that the West needs Ankara’s help with the migrant crisis and as an ally in the US-led coalition against ISIL.